It's that time of year again; when the shops fill with confectionery and flowers, cupid seems to be firing arrows at everyone and love is in the air. That's right, Valentine's Day is upon us. I just hope my Mr is taking note too! This facial epilation and cleansing duo helps to keep the lady in your life hair free with soft and supple skin. It gently exfoliates to remove make-up, wipe away impurities and clean pores before the removable head is exchanged with the slim, precision version to help maintain eyebrows and more. 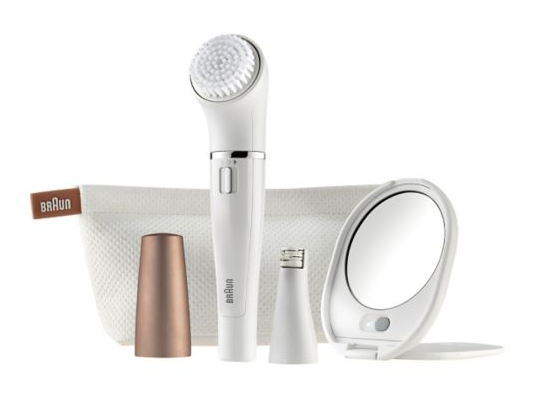 It's a handy piece of kit that can be used during the normal shower routine too and this beauty edition even includes a lighted mirror and pouch for easy transportation and safe keeping - ideal for those romantic couple getaways. 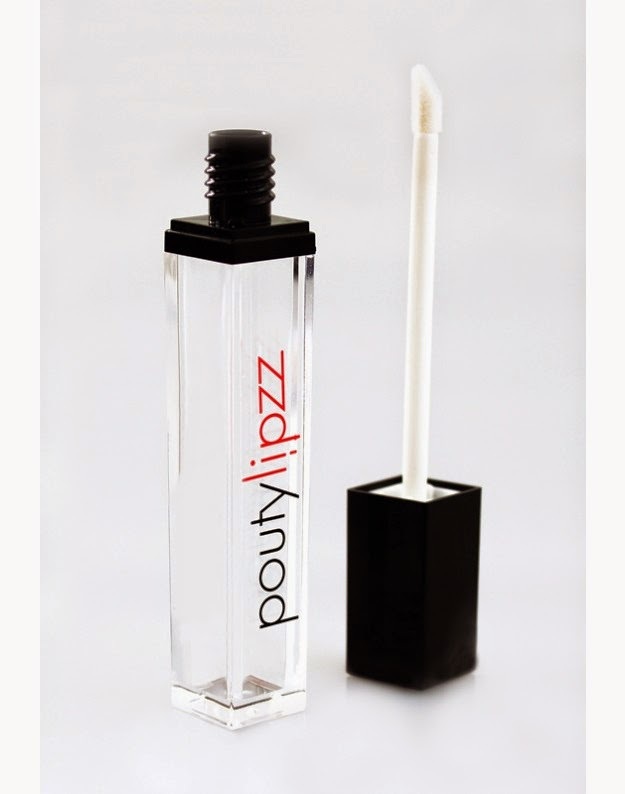 For a perfect pout and kissable lips this beauty buy is ideal. Containing menthol it will really keep your mouth minty fresh for those memorable moments this February all while giving your lips a boost in volume and shine too. It has been created to enhance your lips by up to 40% when used several times a day so you can step away from the botox for amazing results. I really liked the feel and look this lipgloss provided as it was non sticky and lasted some time - It's definitely time to pucker up with confidence! Taking photos of yourself seems to be the latest craze and this useful gadget will improve your pictures and capture those special moments on your phone with ease. By extending the handle and connecting your mobile you can get a better angle and fit more people or stunning scenery in before snapping away - whether it's your dinner date on the 14th or your family and friends. Many of us are parents and we just don't have the time/finances/babysitting services for romantic trips to Paris for the perfect proposal, but that doesn't mean you can't enjoy a wonderful night in together with a bottle... or two. 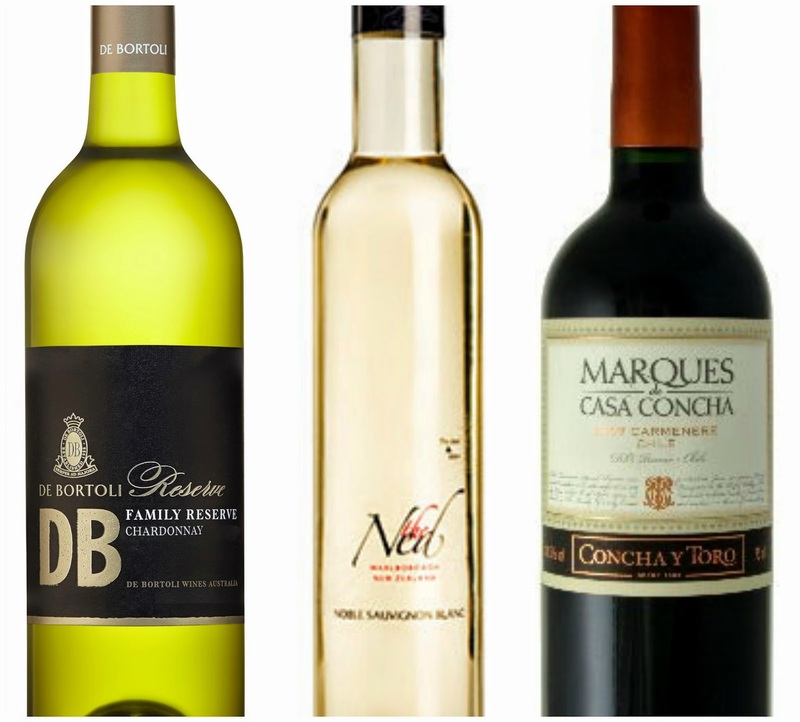 This selection of wine is great to accompany your meal; whether you are having pasta, steak or fish to celebrate the occasion. Unctuous cherry, cassis, cedar, blackberry, black tar and smoky notes. A deep concentration of flavours framed by firm tannins. A generous bouquet of apricot and honeysuckle. Luscious, exotic fruits combine with layers of caramel and floral honey. A medium bodied wine showing citrus fruit and floral flavours, finishing with a creamy nutty texture. This easy to play card game is based around the importance of communication, no matter what your age or the stage of your relationship. The idea it to take it in turns to ask or answer one of 300+ questions to get a better understanding of your partner, get the conversations flowing and build on your existing love for each other. In such a technology based world speaking can often be put on the back burner which makes this a great way to rekindle the flames. There are challenges like making anagrams from words, simple tasks and more in-depth discussions to give a go - feel free to play it with other couples too. The bedroom doesn't have to be the only place where things get a little spicy; you can fire up the oven and cook with some heat in the kitchen too! This beautifully presented spice box contains 8 handmade spice blends to add plenty of flavour to your dishes which include Garam Masala, Panch Phoron and Jerk. They have even added in a stainless steel spoon and some teabags too. The collection uses around 35 different ingredients and the contents of each glass pot will last for around 1 year. What do you hope to receive this Valentine's Day? 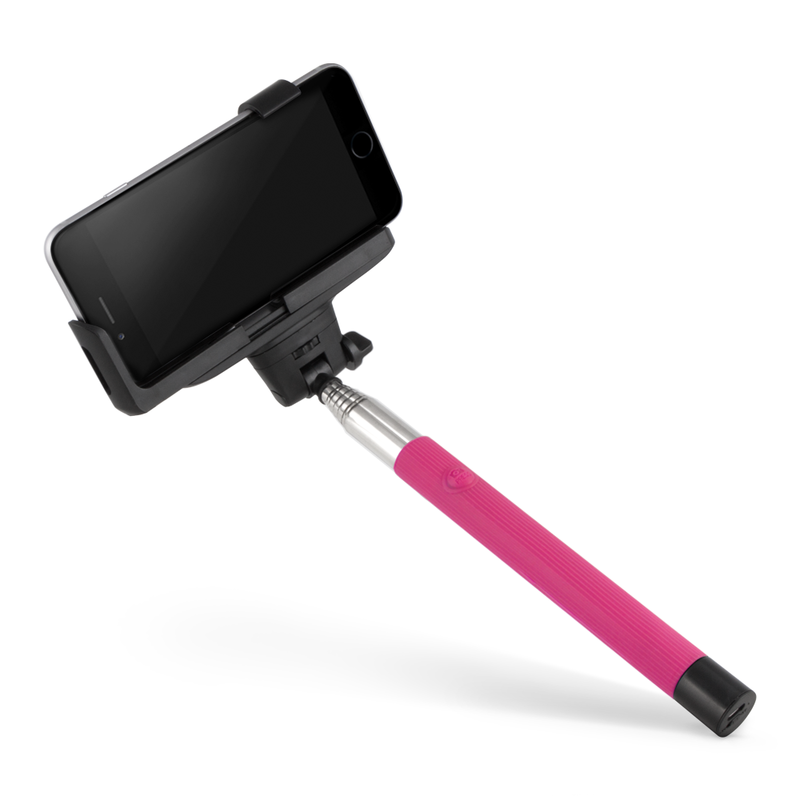 I keep looking at selfie sticks but not sure if I'd feel like an idiot using one. I need a selfie stick, but I love that spice box. I'm tempted bu the selfie stick too but it seems so totally narcissistic that I don't know I could go there! Wine would be my top choice from this list - but the main thing I want is for my husband to be back home as he's working in the US for the next week! 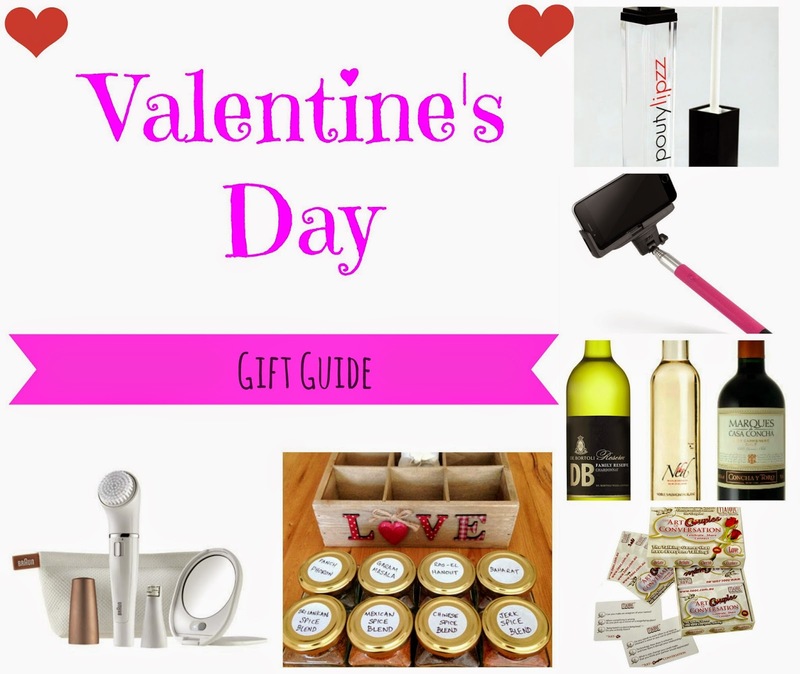 You have picked some really lovely and unusal gift ideas. The Spice Box would be a perfect gift for me!! We don't celebrate Valentines day, other than maybe sharing a bottle of wine when the kids are in bed. 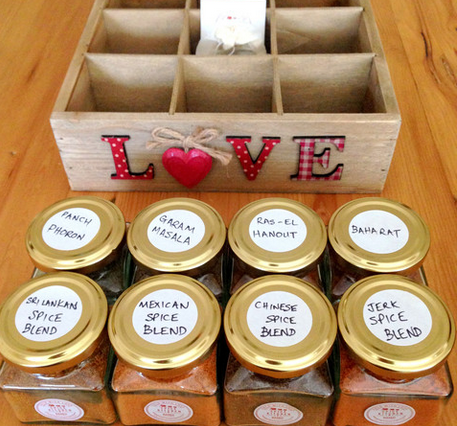 Love the spice box though, I'd love that any time of year! I'm not sure about Valentine's but my daughter would love a selfie stick! I'm going to buy the spice box and tell me wife its time she cooked me a meal. Then when Im getting chased down the street, Im going to tell her it was your idea! Ooooo great guide hun! I'm so in love with selfie sticks at the moment. My other half got me one for Christmas and I have on to review too - brilliant idea as a gift. Thanks for sharing some awesome idea here! What a great gift guide! I love the spice rack (of course being a foodie)! Some wine would be nice! I love the idea of a selfie stick for myself - my arms never seem long enough to get a good selfie, the photos are always too close! I think the selfir stick would be a lot of fun!